As a staffing agency, your payroll needs aren’t exactly the same as those for a typical employer. This means your vendor selection and setup process are different as well. Do you know what questions to ask when implementing a new payroll system? Here are seven questions that can help you understand what you are really getting with your payroll solution. #1 How is timekeeping handled? Many payroll vendors can provide a timekeeping system as part of their service package. But if you want to use your own system, they should also be able to accept data from a range of sources. That might be an Excel spreadsheet, your internal timekeeping software, or a third party system. If you are placing workers at many different host locations, each with their own time tracking software, your payroll provider will need to be flexible enough to handle these varying data sources. #2 What type of support is provided? 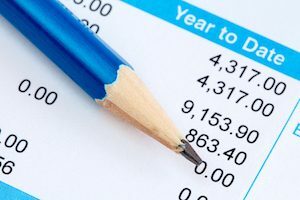 Even with “plug and play” payroll systems, there are typically adjustments that need to be made to customize the solution for your specific needs. If you require assistance in set up, report design or generation, and other aspects of the system, you need to know how and when this support will be provided. Can you expect a training session for initial setup? What is the level of service that is provided on an ongoing basis? #3 What happens when things change? Whether there are changes on your side or the vendors, this is when things can start getting difficult. With technology and business both evolving rapidly, you can’t expect things to stay the same. Ask about what happens over time. For example: Are new features and upgrades rolled out automatically? Or, do you have the option to delay a new version if you like the old version better? How portable is your data if you choose to switch providers later? #4 How is employee information transmitted and stored? This is one of the most important questions to ask when implementing a new payroll system. Web based and cloud hosted solutions are becoming more common, and many of the security concerns with these platforms have been addressed. But you still need to understand what measures and protocols are in place to safeguard private employee information. #5 Does the payroll provider have an onboarding solution? This is definitely a value feature that you should look for with a payroll provider. As a thriving staffing agency, the need to continuously hire new employees is only going to increase. A payroll solution that takes the workload of new hire forms off your plate and offers a web-based self-service process for new hire onboarding is ideal. Look for additional features like Work Opportunity Tax Credit (WOTC) processing that will actually pay you back for paying wages to qualifying employees. #6 Is the onboarding process fully integrated with payroll? Of course, that onboarding system saves even more time if the information is delivered into the payroll system without additional administrative action. The workflow can even stretch as far back as applicant tracking if your payroll provider is offering an advanced solution. #7 What other integrations are offered? The answer will determine how much of your own process you can truly automate. For example, a payroll system that integrates with your client billing system will allow you to accurately and quickly invoice clients each payroll period without manually exporting data or rekeying it into your billing system. To learn more about the questions to ask when implementing a new payroll system and our solutions for staffing agencies, ask for a demo today.